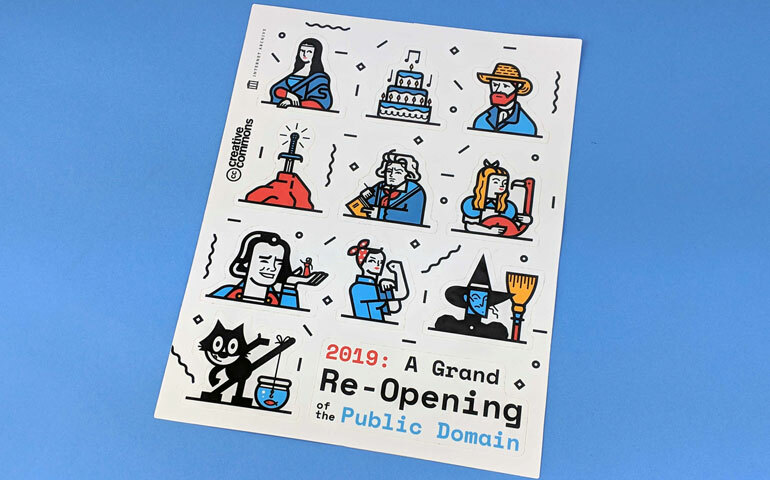 On Friday, January 25, 2019, the Creative Commons and Internet Archive celebrated A Grand Re-Opening of the Public Domain at the Internet Archive headquarters in San Francisco. 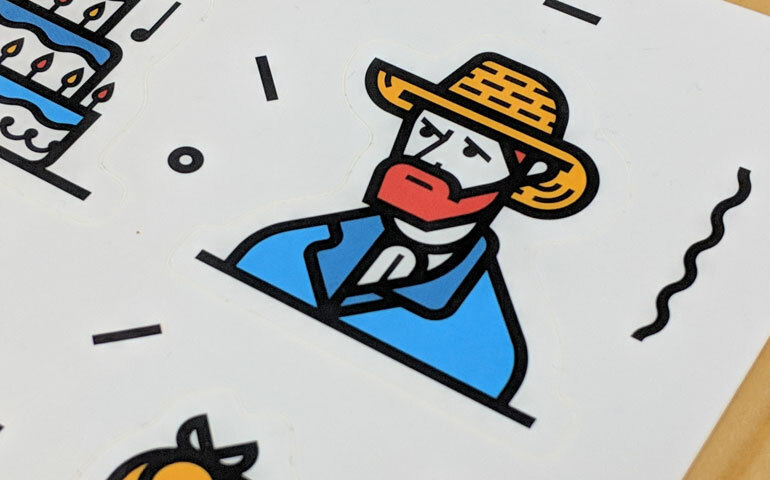 To help commemorate the event, they ordered a beautifully illustrated sticker sheet from designer Comunasunidas that highlights famous images through history helps promote the story. The event featured keynote addresses by notable internet luminaries Lawrence Lessig and Cory Doctorow, lightning talks, demos, and multimedia displays. 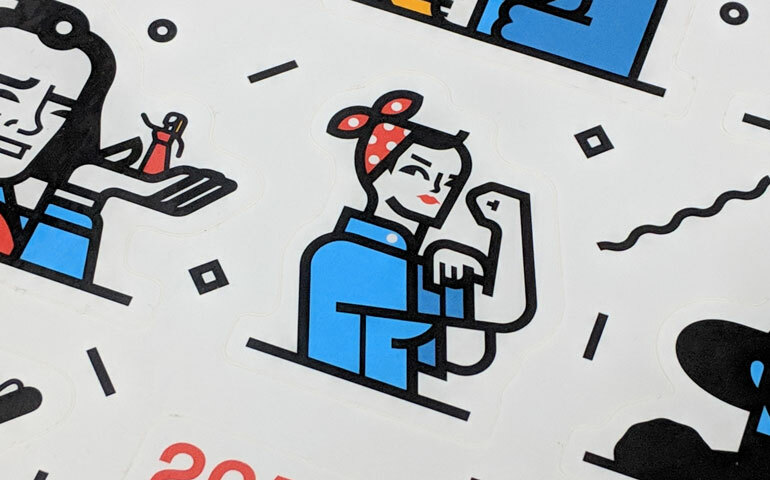 The sticker sheet has some very notable characters and stories on it, including the Mona Lisa, Excalibur, Van Gogh, Rosie the Riveter and Happy Birthday. What is the public domain? Well, it's our shared cultural commons, a "near limitless trove of creativity that’s been reused, remixed, and reimagined over centuries to create new works of art and science." What's great about content in the public domain is that it may be reused in a limitless capacity without any penalty, and in the United States, January 1, 2019 marks the date at which works will resume entering the public domain. Take for instance Katsushika Hokusai’s "Under the Wave off Kanagawa," which is part of the public domain. 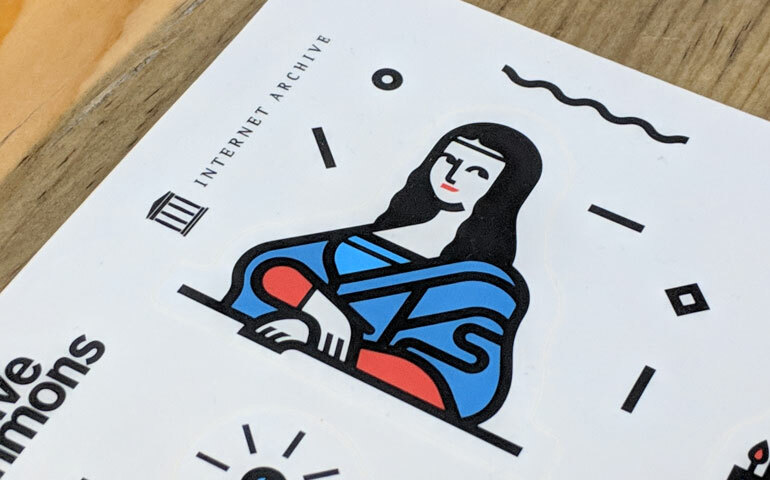 Ever since the 1998 Copyright Term Extension Act, no published works have entered the public domain (well, none due to copyright expiration), and now a whole bunch of these various works of art are entering into our cultural commons to add to our shared history and future. 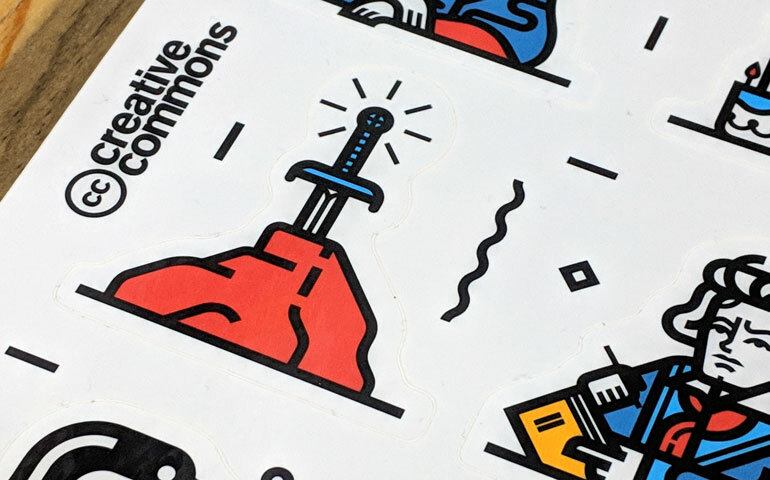 We love that these stickers are now part of the conversation around art and how it's part of our culture. 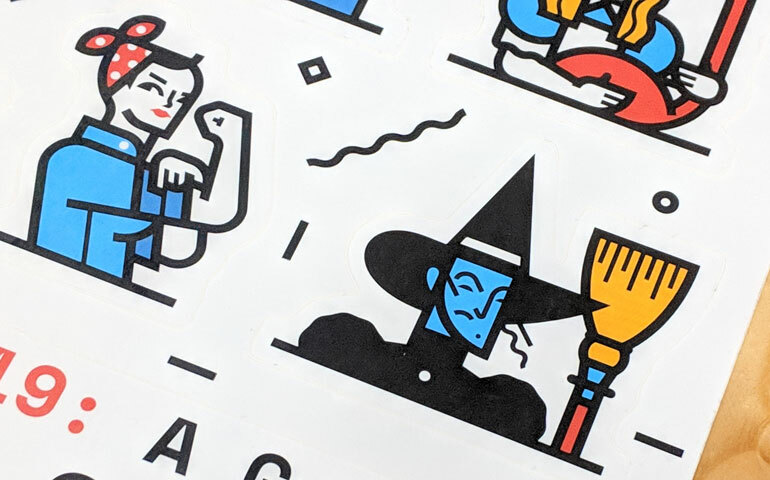 With eleven total peel-offs for this glossy sticker sheet, attendees at the event will have plenty to share and remix with the world as they take their stickers with them. 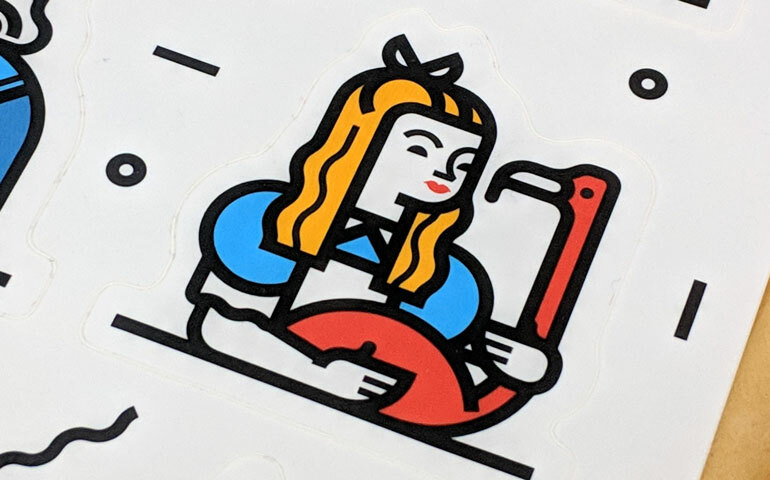 Bold colors and simple line drawings really help make this sticker stand out, and it's sure to help these works of art live an even longer life in the public domain.